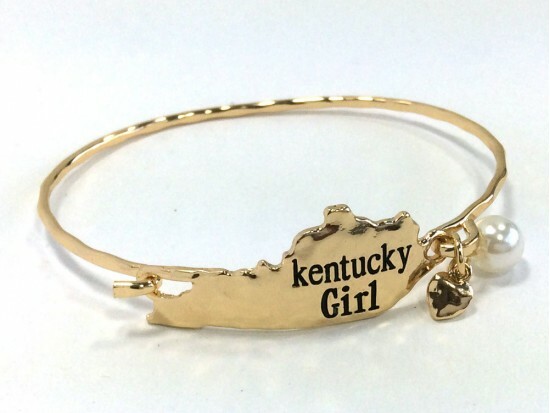 Gold Kentucky Girl State Map Bangle. 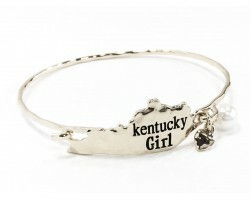 State map of Kentucky and a pearl bead charm on bangle bracelet. Phrase is inscribed “Kentucky Girl” on the state map. Hammered style. 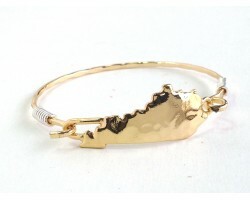 1 inch wide.